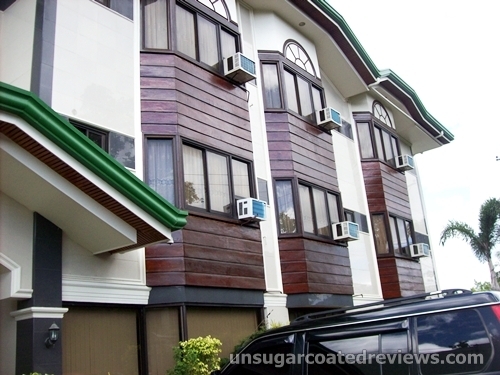 In our recent trip to Bohol, we stayed at Vest Pension House. There were four of us (all adults) so I chose a family room. I booked and paid for our room via Agoda. The rate for the room was P2500/night. The bill, including taxes and service fees, (with a P350 discount courtesy of my BPI credit card) for our 3 days/2 nights stay amounted to P5,249.79 (USD 127.42). Vest had a high score (8/10) and more than 200 positive reviews in Agoda. I also liked the hotel's booking conditions: Free cancellation. Any cancellation received within 1 day prior to arrival will incur the first night's charge. (Note: The booking conditions stated were for the family room available during the dates of our trip, booked through Agoda. 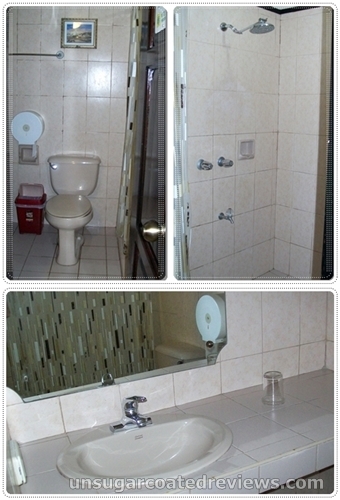 The conditions may differ if you book other rooms or through other methods.) In contrast, the other hotel we were considering had penalties if you cancel within 21 days of your arrival. We scheduled our trip near the end of November to avoid the rainy season, but knowing our country, we sometimes get heavy rain and storms even late in the year. Besides, we were traveling with senior citizens, so an easy cancellation or booking changes in case of typhoons or other emergencies felt reassuring. Another thing that made me choose Vest was that their tour packages (destinations and prices) were already posted at their Web site. As someone who spends a lot of time in front of the computer, I prefer to do transactions online. As such, I dislike having to contact a merchant or establishment just to have detailed information about their product or service. I especially dislike having to ask for something basic such as prices. I prefer to have access to all important information and to be able to form an informed decision with as minimal contact with another human being as possible. Not the best of traits, I know, but that's how I roll. When we exited Tagbilaran Airport, the Vest van (free airport transfer) was already there. The hotel's male staff assisted us with our bags. 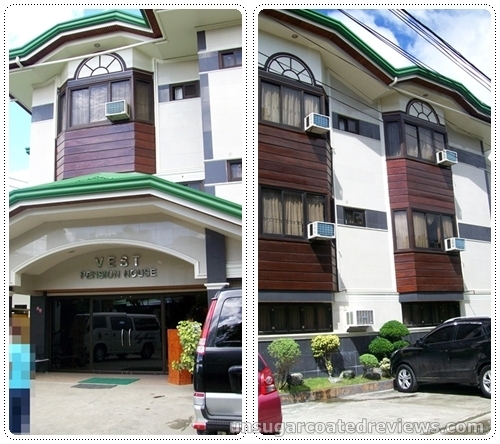 Vest Pension House is situated near the airport, about 5 minutes away. It is three storeys high, with 16 rooms. Upon arrival at the hotel, I confirmed and paid for our tour and we were ushered in to our room (Room 102). I have to admit, I was a little disappointed when I saw the room. It was not as cute as I expected. In their pictures, the rooms had wooden floors and walls, which made the rooms look lively and charming. Alas, no wooden floor and walls for us. Cuteness factor aside, the room was okay. It looked decent and was clean and orderly. The air conditioner worked quietly and our stay was restful, no distracting sounds from traffic, the hotel staff or other guests. There was a mini fridge and cable TV. The beds were soft and comfortable. We had access to Wi-Fi inside the room, we just had to call the front desk to ask for the password. There were light switches located between the two beds, so we didn't have to get up to turn the lights off/on. There were also electrical outlets between the beds (and another one right beside the bathroom sink) for charging our gadgets. The bathroom was spacious and clean as well, with a shower curtain separating the shower area from the toilet and the sink. The hot shower worked. Towels, soaps, and shampoo+conditioner packs were provided, but we only got 1 soap and shampoo+conditioner pack per person during our 3days/2nights stay in Vest. You can probably ask for more but since we brought our own supplies, it was not a big deal. A pair of slippers for use inside the bathroom was also available. The sink area had enough space for us to put our clothes and toiletries as we showered, with no risk of them getting wet or falling on the floor. There was adequate space for us to easily change into fresh clothes inside the bathroom. The family room had a wooden table and a cabinet where we could put our things. The cabinet had several shelves and drawers, so we could keep our things organized and separate. One of the cabinet doors had a built-in long mirror so we were able to finish grooming ourselves even if someone else was using the bathroom. There were additional lights in this area, good if you're applying makeup. To go to Island City Mall, we had to ride a tricycle. Tricycles regularly passed by the hotel so finding one was easy. Each ride cost us P40. Getting back to the hotel was easy as well, as tricycles flocked near the mall's entrance. The next two mornings, we availed the complimentary breakfast. We chose to eat at Vest's dining area instead of having the food brought to our room. There were menu boards inside our room, one of which had a list of different Filipino and American breakfast sets labeled P200 each. At first I thought we could choose our complimentary breakfast from that list but when I called the front desk to have our breakfast ready, I was informed that those in the menu were regular (non-complimentary) breakfasts. The dining area/restaurant is located in Vest's lobby. At the lobby, there are also couches and magazines, a computer that you can rent, a bar, and a small souvenir shop.